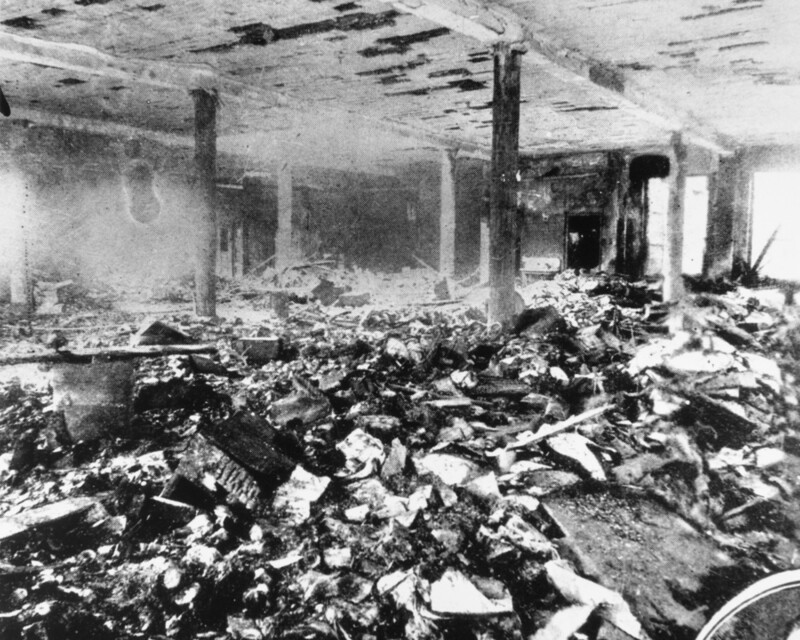 The 1911 factory blaze shocked the nation and spurred new regulations to protect factory workers. Young women became trapped by tables, bulky equipment and doors that locked or opened the wrong way as flames enveloped the eighth, ninth and 10th floors of the Asch Building in New York City’s Greenwich Village on March 25, 1911. As people struggled to escape, several fell into the flames, their bodies piling by blocked exits. Others leapt—in twos and threes—out the burning building&apos;s high windows. 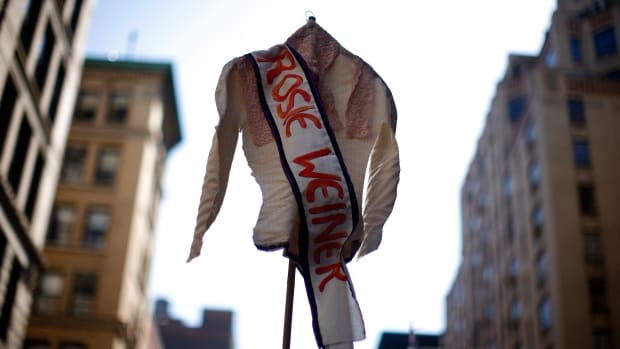 The March 25, 1911 Triangle Shirtwaist Fire was one of the deadliest workplace catastrophes in U.S. history, claiming the lives of 146 workers, most of them women immigrants in their teens and twenties. The fire was so horrific it shocked the conscience of New Yorkers and others across the nation and, ultimately, led to changes in safety regulations and more diligent efforts to enforce them. 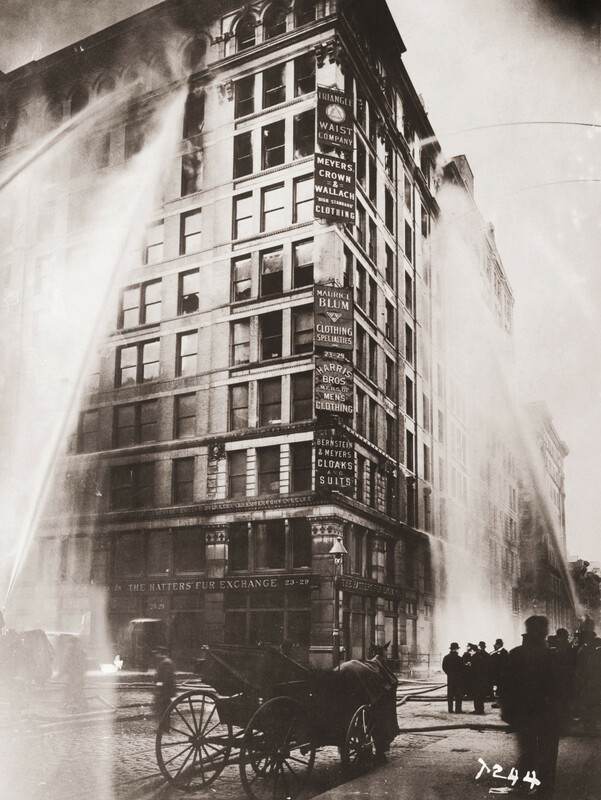 Fire hoses spray water on the upper floors of the Asch Building, housing the Triangle Shirtwaist Company, on Washington and Greene Streets in New York City, during the fire on March 25, 1911. The disaster’s causes were complex. 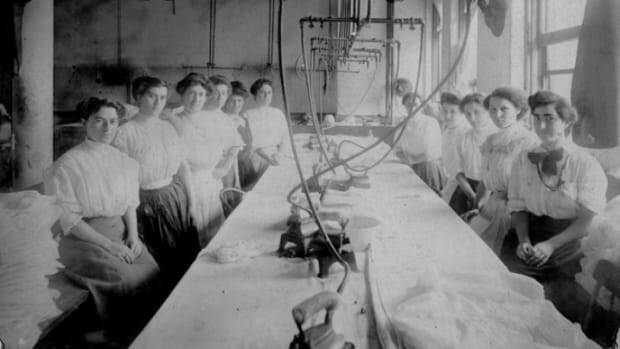 In the early 1890s, immigrants from Italy and eastern Europe came to the United States in search of a better life, but instead often found themselves in places such as the Triangle Waist Company, where they worked 12-and-a-half-hour days for $6 a week, according to an AFL-CIO history of the fire. They had to supply their own needles, thread, irons and sometimes, even their own sewing machines. 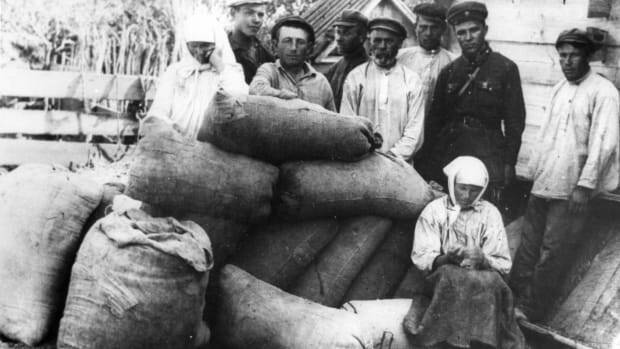 Working conditions were so bad that the women didn’t even have access to a bathroom in the building, and doors were locked so that they couldn’t go outside and slow down production. And though the place was filled with highly flammable materials, there was little attention paid to fire prevention. 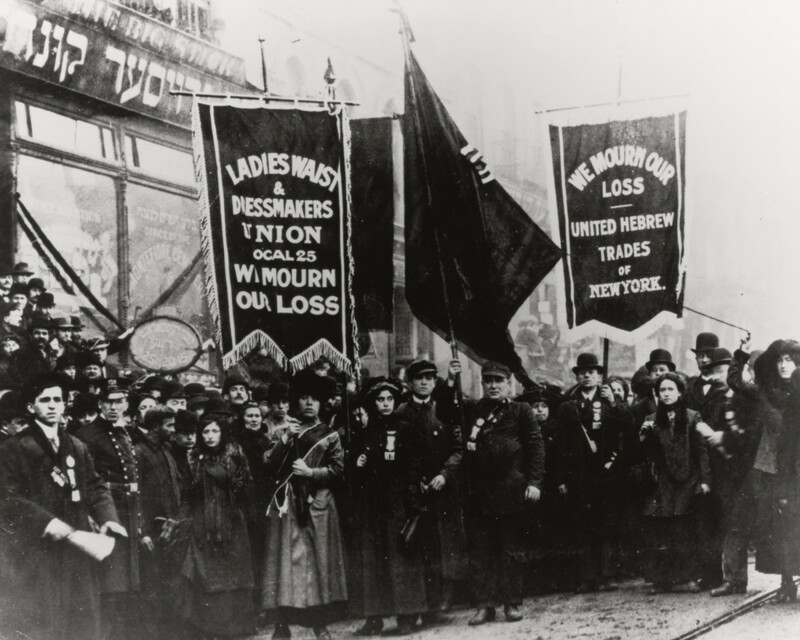 Discontent over wages and working conditions at Triangle and the city’s other garment factories led tens of thousands of workers to strike in 1909, seeking concessions such as a 20 percent pay hike and a 52-hour week, as well as safer working conditions. Most of the factory owners quickly settled, but Triangle’s owners resisted the demands. When the strike ended in February 1910, workers went back to their jobs without a union agreement, according to the AFL-CIO history. On the afternoon of March 25, a Saturday, 500 people were working in Triangle’s factory, which occupied three floors in a building that had been built just 10 years before. Court testimony later placed the blame for the blaze on a fire that started in a fabric scrap bin on the eighth floor, which probably was ignited by a discarded cigarette, shortly before the factory’s 4 pm closing time. Triangle had water buckets in place for extinguishing fires, a common practice in garment factories at the time. But as one worker, Mary Domsky-Abrams, later recalled in an early 1960s interview with author Leon Stein, the buckets were empty. “On that particular morning, the day of the tragedy, I remarked to my colleagues that the buckets were empty, and that if anything were to happen, they would be of no use,” she said. Another worker, Cecilia Walker Friedman, who worked on the ninth floor, said that she was ready to leave work when she looked to the window and saw flames. Everyone around her started to scream and holler, but many were hindered in getting away. 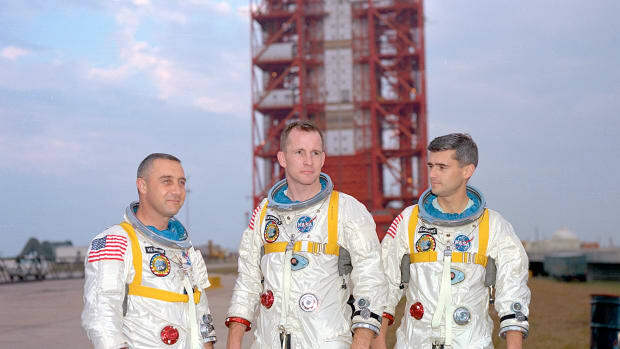 “The girls at the machines began to climb up on the machine tables, maybe because it was that they were frightened or maybe they thought they could run to the elevator doors on top of the machines,” Friedman said. “The aisles were narrow and blocked by the chairs and baskets. They began to fall in the fire. The gutted remains of the tenth floor, with only the floors and walls intact. Firefighters eventually found a six-foot-high pile of bodies jammed up against a door to the back stairway, according to the New York Tribune. Friedman herself somehow made it to the elevator, only to watch as the elevator car went down the shaft, leaving the door open. Desperate, she wrapped a decorative muff around her hands, leaped into the shaft and grabbed the elevator cable, sliding all the way to the bottom. The impact broke her arm and finger, and she suffered a head injury and a burn that stretched the length of her body. But she survived. Others weren’t so lucky. The fire escape bent under the weight of workers trying to flee. Some workers waited at the windows for help, only to watch in dismay as firefighters’ too-short ladders couldn’t reach them. Faced with being burned alive, some workers chose to leap—sometimes in twos and threes—to their deaths, according to a 2011 New York Times retrospective. The fire didn’t destroy the building itself, and by sunset, police and firemen were laying out bodies on the sidewalk. A week after the fire, New Yorkers packed an emergency meeting at the Metropolitan Opera House to call for action on fire safety. A few days later, an estimated 350,000 people joined in a massive funeral procession for the fire’s victims. Demonstrators mourning the victims of the Triangle Shirtwaist Factory fire in New York City, 1911. The factory’s owners, Isaac Harris and Max Blanck, were put on trial for manslaughter, but were found not guilty in a trial that December, after the judge gave jury instructions that made it difficult to convict them. As journalist David Von Drehle, author of a book on the fire, notes in a 2018 essay, the pair had to be escorted out a side door of the courthouse to avoid an angry crowd. To settle lawsuits against them, they eventually paid $75 in compensation to each victim’s family—a fraction of the $400 per death that they were paid by their insurer, according to the U.S. Department of Labor. With public outrage growing, New York state legislators enacted a law creating the Factory Investigating Commission, a watchdog agency with sweeping powers to probe labor conditions throughout the state. Over the next two years, it would investigate thousands of workplaces—not just garment factories, but to meat-packing and chemical plants as well. On a larger scale, the Triangle fire convinced the nation that the government had a responsibility to ensure workers had a safe place to do their jobs.